Being a vegan on the Camino can be challenging but it is definitely possible, all you need is a bit of research and preparation before your trip. Today we share our tips on how to enjoy the Camino on a vegan diet. Walking the Camino while being conscious about animal suffering is becoming easier as many restaurants are including more and more new dishes without animal products. Businesses and people in general are adapting to this new reality, becoming more aware of the popularity of this lifestyle. Vegan pilgrims from all around the world have been walking the Camino while spreading their ideas and this has helped to make it a bit easier for us nowadays. Still, you could end up in small businesses in rural areas along the Camino where they might not know what a Vegan diet is. Happy cow app will still be your best friend in medium and large cities but for the rest of The Way, we have designed this Vegan guide to help you through your way to Santiago. Spanish cuisine is full of fresh vegetables that come usually as a side dish. It’s generally possible to play with the menu and arrange your main dish using the options available in the pilgrim menu. It can be a bit limited though (a choice between 2 or 3 starters, mains and then dessert) so you might have better choice ordering from the à la carte menu. 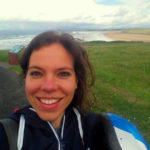 The secret for a carefree vegan Camino is to get ready in advance and being cautious. Buy and pack snacks such as nuts and fruit when you are in bigger towns and cities as supermarkets will have a good range of options. Keep always something that will fill you up in your backpack, as you might not find many options in roadside bars along the way. Energy bars, crackers and dried fruits are light to carry and always a tasty option. It might be useful get some ground flax-seeds or chia seeds in medium supermarkets if you are used to take this kind of products as well. Beware of salads (ensalada mixta or ensaladilla for instance) as they generally have egg or tuna. Some ‘Vegetable sandwich’ (bocadillo vegetal in Spanish), have, ironically, fish as a main ingredient. Do not be afraid to ask before ordering if a product has cow milk, mayonnaise, cheese… It might be not specified on the menu and you will end up with an unwanted surprise on your plate. Approach soups and stews with caution as they tend to have meat-based broths. For instance, caldo gallego might look like a perfectly vegan stew with greens, beans and potato, but it is generally cooked with pork meat. 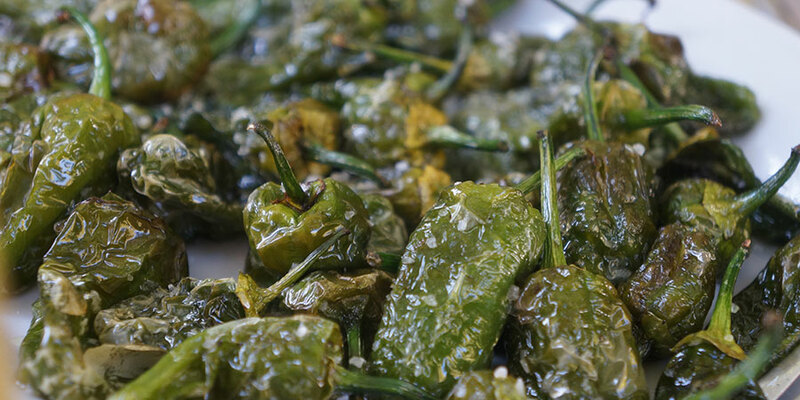 Pementos de Padron: Simple and tasty Padron peppers fried in olive oil and with a sprinkle of seasalt. Parrillada de verduras: A selection of delicious grilled vegetables. 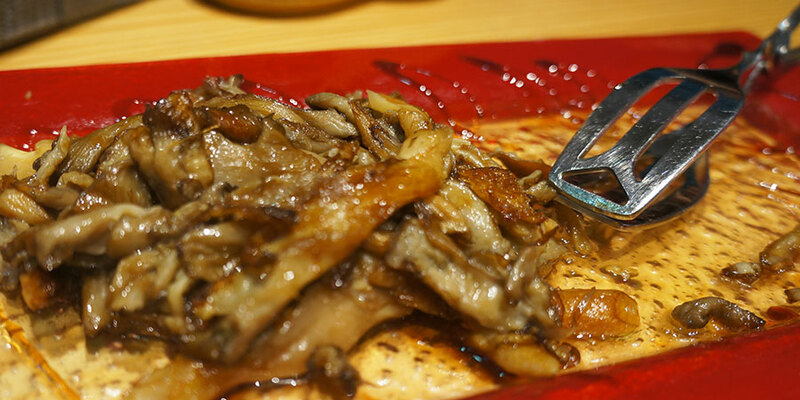 Setas: Grilled mushrooms are generally available in the Autumn months, when they are in season. Gazpacho: A classic cold tomato soup from the South of Spain. Ideal for hot summer days. Lentejas vegetarianas: A vegetarian version of the classic Spanish lentil stew (which generally include chorizo and/or ham). 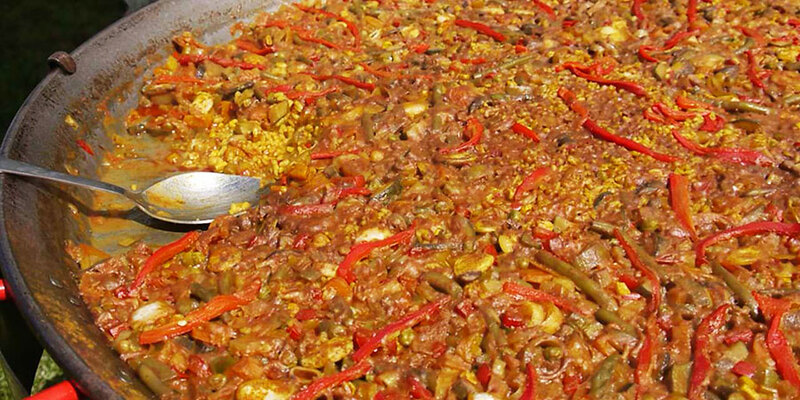 Paella de verduras: A vegetarian take on another traditional dish that is widely available. Garbanzos con espinacas: Chickpea and spinach stew (make sure you ask if it has any meat or meat broth in it). Pisto de verduras: Generally made with onion, tomato and peppers. Patatas bravas: The classic recipe includes a spicy tomato sauce and a white garlic sauce, just request your potatoes with only tomato sauce to avoid dairy. Lleva carne? – Does this have meat? Está hecho con mantequilla? – Is it prepared with butter? Finally, if you are booking your trip with CaminoWays.com, do not forget to inform us about your vegan choice in advance so our reservation department will communicate it to the booked hotels. Please, do not hesitate to share your vegan on the Camino tips with us and help fellow vegan pilgrims. We can all contribute to make a kinder and fairer Camino for all beings.